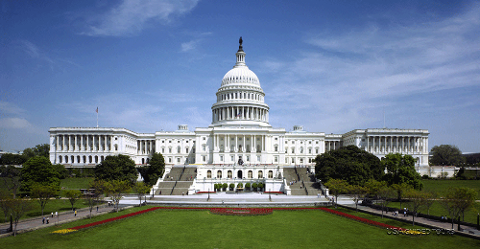 USA Guided Tours invites you to explore the Washington, DC-region on our most unique sightseeing experience yet. 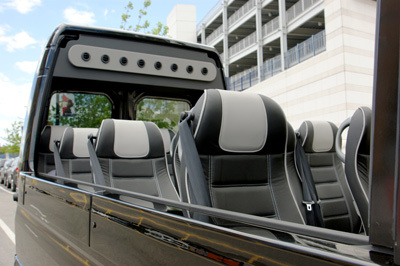 We’re providing the best panoramic view of DC, the National Harbor, and Old Town Alexandria in our luxurious SkyVue glass-top, convertible Mercedes-Benz Sprinter. 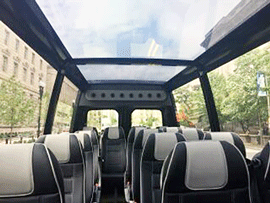 Your panoramic experience will begin with observations of the White House, the Franklin Delano Roosevelt (FDR) Memorial, and the Lincoln Memorial. 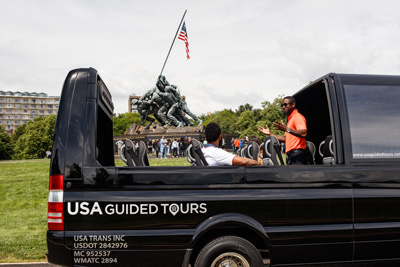 One of our knowledgeable tour guides will accompany you to each attraction and provide narrative commentary on historic facts as well as photo opportunities, as we pass through the National Mall. 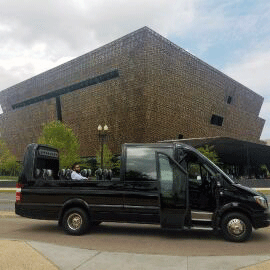 After a drive through the National Mall, the tour will continue to the National Harbor - an urbane dining and entertainment hub banked on the Potomac River. There, you will have an opportunity to view J. Seward Johnson's beloved sculpture, “The Awakening,” the Capital Wheel and shake hands with previous American presidents. 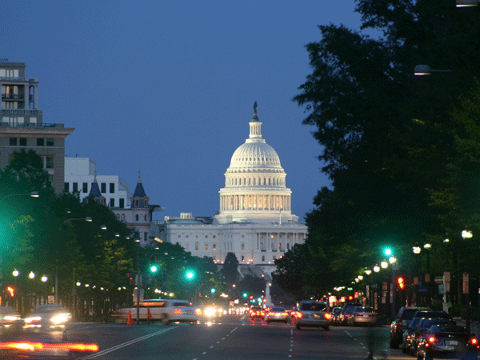 Following the National Harbor, you will drive through Virginia's Old Town Alexandria where you will see The George Washington Masonic Temple and the Historic Christ Church. The colonial-themed hot spot also consists of more than 200 restaurants and boutiques along its cobblestone main street (King Street), is considered a destination George Washington himself referred to as “home”. Next, you will visit the U.S. Marine Corps War Memorial (generally known as the Iwo Jima Memorial) and the Air Force Memorial, but not without riding down the scenic George Washington Parkway. From the grounds of the Iwo Jima Memorial, you will see a panoramic view of the Lincoln Memorial, Washington Monument, and U.S. Capitol dome. Following this is a drive through historic Georgetown, and an opportunity for up-close photos of the National Cathedral.